Fighting is frowned upon at the temple, and so priests and priestesses only carry small daggers, like the Temple Dagger, with which they can defend themselves, should the need arise. This ornate dagger is humble, but stylish! 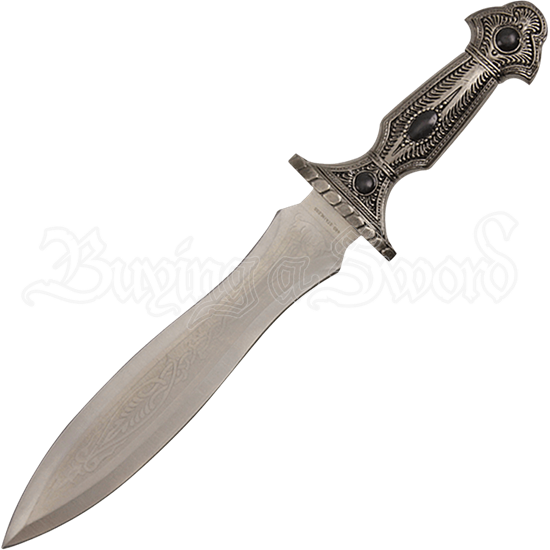 This leaf bladed dagger is made from stainless-steel and possesses a knotwork and floral pattern lightly etched onto the blade. The hilt of this dagger is made from aluminum and has been set with three black stones, with one being set into the pommel. A hatched pattern decorates the handle of the blade. The scabbard that this beautiful dagger comes with is decorated similarly to the handle of the blade, but with added swirling patterns in great arches. Two short chains connect the scabbard of the blade to two metal clips, which enable you to hook the scabbard to your belt. 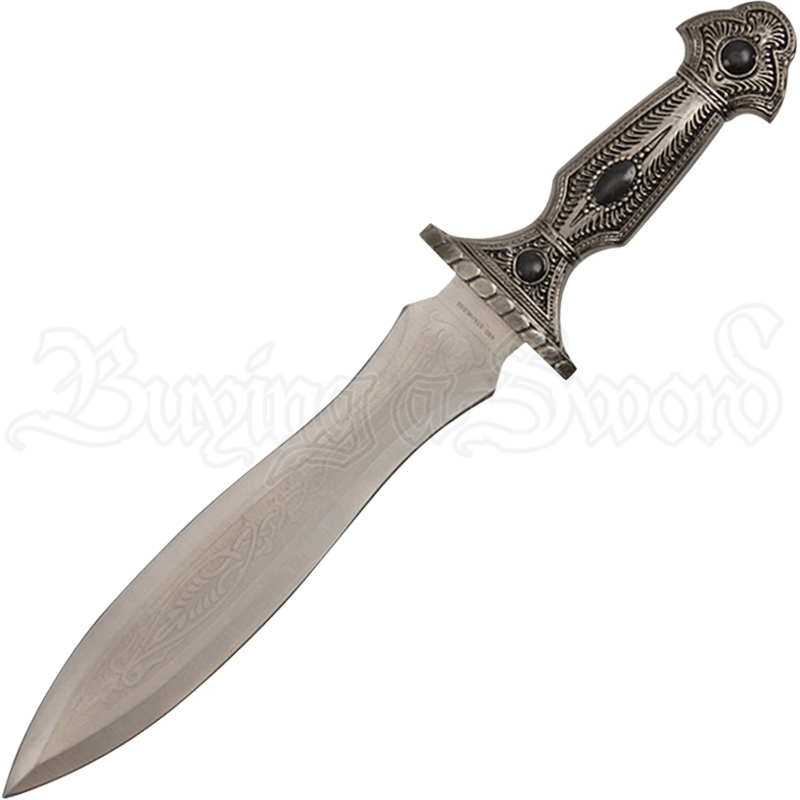 Ideal as a Ren Fair accessory or a piece of medieval or fantasy home decor, this decorative steel dagger will bring a simply elegant flair to any costume you pair it with! Give it to a friend or loved one as a special gift, or add it to your collection!